Follow RT for news and articles on Mohamed Salah, an Egyptian professional footballer and forward for English Club Liverpool. During international events like the FIFA World Cup, he plays for the Egyptian national team. Don’t miss the news on his achievements and previous games. Mohamed Salah was left out of the starting lineup for Egypt’s opener in the 2018 World Cup in Russia due to a shoulder injury. 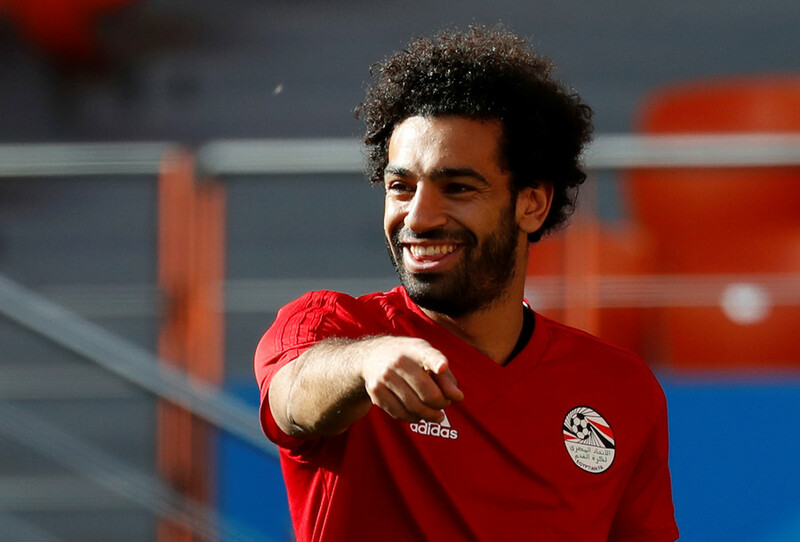 Get news and stories on the 2018 FIFA World Cup in Russia, including the Egyptian team and Mohamed Salah’s activities during the tournament. Get news from RT on Mohamed Salah’s career. He started his career with El Mokawloon in the Egyptian Premier League. Mohamed Salah also played for Basel, Chelsea, and a number of other teams before ending up in Liverpool. 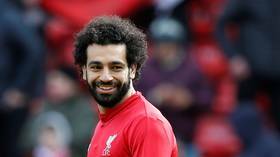 Read news on Mohamed Salah’s numerous awards and medals. He was named CAF African Footballer of the Year and BBC African Footballer of the Year. 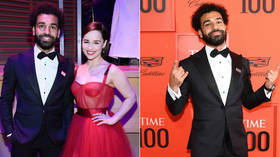 Football star Mohamed Salah swapped the red of a Liverpool short for the red carpet as he attended the glitzy Time 100 Gala in New York after he was included among the magazine’s ‘100 most influential people’. 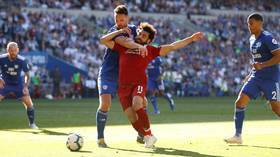 Fans - and reporters - online were split as Mohamed Salah won his fifth penalty of the season in Liverpool's 2-0 win over Cardiff City as the Merseyside club returned to the top of the Premier League. Liverpool and Egypt striker Mohamed Salah is among the cover stars for Time magazine’s ‘100 most influential people’ list, as he used the chance to call for the better treatment of women "in my culture and in the Middle East." 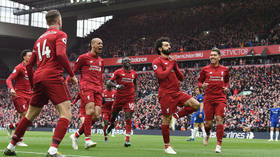 Liverpool star Mohamed Salah struck a stunning goal in his team's crunch Premier League clash against Chelsea, following a week in which fans of the London club were reportedly filmed racially abusing him. 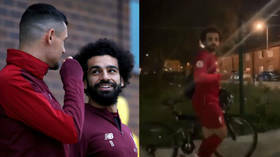 Liverpool’s Dejan Lovren and Mo Salah are never shy to trade some online banter and this time it was the Croatian’s turn, as he jokingly trolled Salah by sharing a video of a man bearing an incredible likeness to the Egyptian. Liverpool star Mohamed Salah gave the Southampton team the slip to score a fine solo goal on Friday night – before selling teammates Jordan Henderson and Andy Robertson a hilarious dummy in his celebration.